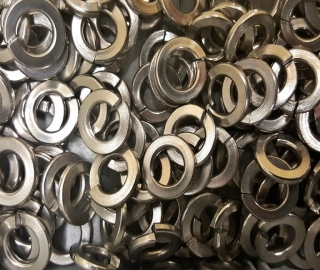 Tooth lock washers are made with small, sharp teeth formed around the inner hole or outer diameter (O.D. ), depending on the type. An internal tooth lock washer has teeth around the center hole, while the external tooth lock washer boasts of teeth around the O.D. 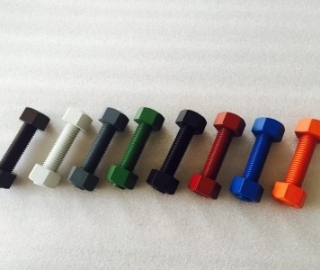 Both of these fasteners provide a locking mechanism that activates when the teeth bite into the joint material, holding tight under pressure and vibration. A combined tooth lock washer, or external-internal tooth lock washer, combines the design of both into a single fastener. Often used in electrical applications, this combo washer also works with over-sized holes. In most cases the ideal tooth lock washer depends on bolt or screw size. As your fastener distributor will confirm, an external tooth lock washer works well with larger headed screws, including round or pan head. Internal tooth lock washers, on the other hand, are best combined with screws presenting smaller heads, including fillister head fasteners. 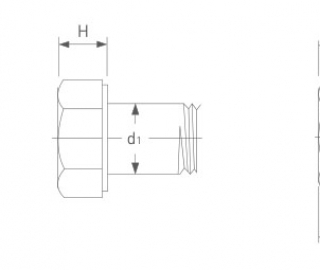 This distinction comes as a result of the load applied when torquing the bolt or screw. The object of using a tooth lock washer is to press the teeth into the joint material. Based on the head shape and point of contact with the washer below, internal or external tooth washers provide the ideal fit. While conventional external and internal tooth lock washers have sharp teeth designed to grasp the joint material, some manufacturers also offer twisted teeth, which help to resist loosening when exposed to vibration. When teeth twist as they compress into the joint material, they also naturally try to revert back into position once the pressure is off. 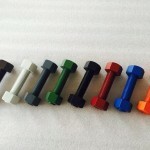 This movement actually strengthens the bond and creates a more vibration-resistant joint. The twisted shape also creates constant flex, actually driving the washer further into the joint material during vibration. Whether you have opted to use an internal tooth lock washer or an external tooth lock washer, investing in products with twisted teeth provides greater resistance to loosening and creates a stronger, more dependable joint.